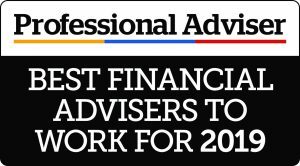 Sandringham are the 3 times winners of the Professional Adviser ‘Best Financial Advisers to Work For’ Award. Sandringham is proud to sponsor the Huddersfield Choral Society. We are equally proud to support Sandringham employees in their local charity work. Sandringham Financial Partners is authorised and regulated by the Financial Conduct Authority. FCA number: 581304. Registered Office: 5th Floor, 30 Market Street, Huddersfield, HD1 2HG. Registered in England and Wales No: 08022795. VAT Registered: 153 0427 42.